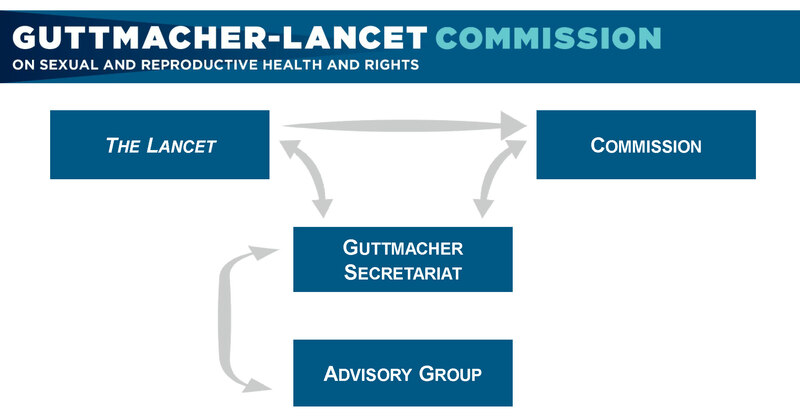 The Guttmacher-Lancet Commission on Sexual and Reproductive Health and Rights is comprised of four entities, which include Commissioners, Advisory Group members, the Secretariat and The Lancet. The Commissioners are leaders and experts who were selected for their technical skills, knowledge and experience in the sexual and reproductive health and rights field. The Advisory Group consists of representatives from organizations—donors, multilateral organizations, advocacy groups and coalitions—who will help facilitate the dissemination and promotion of the report and its recommendations. The Secretariat, which is housed in the Guttmacher Institute, coordinates the various components and activities of the Commission.